When built, the Arch was not a majestic white stone testimony to Rome crushing the Jews, it was a brightly colored monument aggrandizing Vespasian and his dynasty. The cities of ancient Rome and Greece were adorned with stone statues. We are awed to this day by the perfect lines and intricate carvings and weirdly small male parts, all starkly carved in white marble. But when made thousands of years ago, these pieces looked completely different. They were gaudily painted and according to modern tastes, they looked more like they belonged in a kitschy flea market than the Metropolitan Museum. "There is a western trope of black and white being signs of purity," Fine tells Haaretz. "That's why we live in a 'white' city. That's why New Yorkers wear black and white (and brown) to work. Most people hate the Roman statues in color. They think it looks like a piñata." Actually it was museum curators in Germany who first realized that ancient statues had been colored. They were seeing traces of tint on the rocks. "It has become clear only in the last 20 or 30 years that the ancient world was a colorful place," Fine tells Haaretz, during his visit to Israel for an archaeological conference, hosted by the City of David organization and Israel Antiquities Authority, on "Titus in Jerusalem" on Thursday. Note that the spoils from the Temple taken by Rome some 2,000 years ago have not been found. We do not have the menorah and if anything, there is a fierce argument over what it really looked like. Mostly the menorah is depicted, like in the Arch, as being round-based but some, such as the Chabad Hassidic movement, believe it had a triangular base. 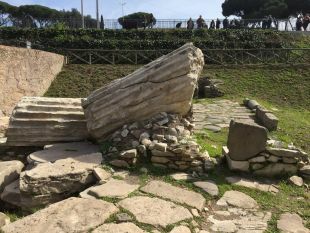 Whatever it looked like, the ancient Romans took the menorah and built not one but two arches in Rome to mark the victory over the rebellious Jews of Palestine. Hoping to gain insight on the real look of the spoils panel, Fine and his team created a three-dimensional scan of it and created a digital restoration. But as for the real thing, merely gazing at marble from which the paint chipped off millennia ago isn't helpful, so Fine tapped the science of metallurgy. "I was part of the team that found bits of paint on a Caligula statue," he says, referring to the short-lived Roman emperor Gaius Julius Caesar Augustus Germanicus (12-41 C.E.) known for exhausting the Roman treasury with his extravagance and for his foul personal habits. The Caligula project led Fine to suggest testing the Arch of Titus. 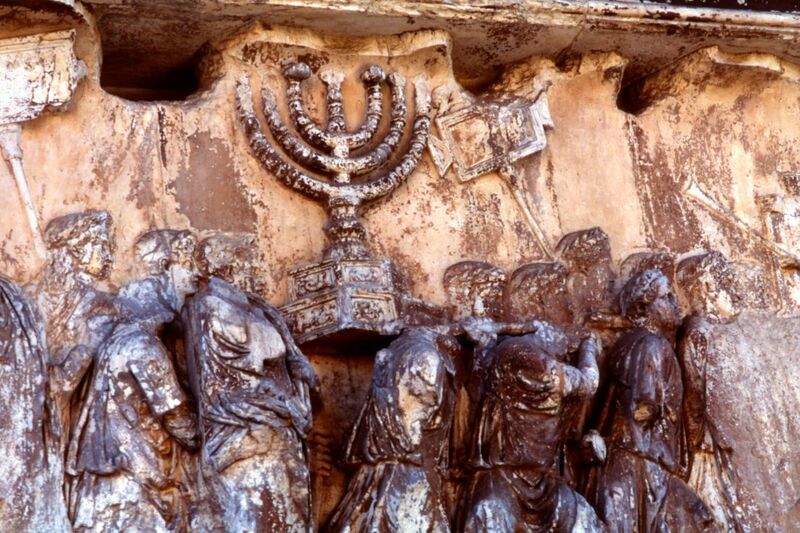 The Roman Antiquities Authority gave permission and the archaeologists found traces of yellow paint on the menorah. That momentous discovery did not win the team the accolades they might have anticipated. "Wouldn't you know, we were immediately attacked for taking away the 'true vision' of ancient Rome," Fine says. Unable to continue testing the Arch because of various hurdles but uncowed by the howls, they began to imagine what the rest of it had looked like. "Once you have one bit of color on a major monument, you have it all," Fine says, though qualifying that they are not stating that they have nailed the true colors of the panel. 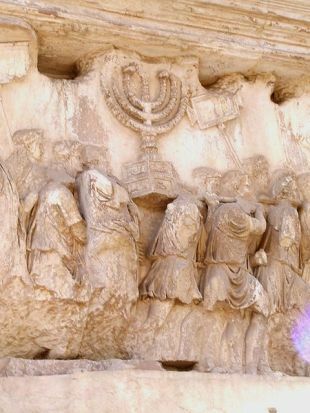 The Arch of Titus is positioned on an east-west axis, and as one goes into the arch, the carving gets shallower. On the left, the menorah is a deep-etched relief; on the right, it's shallow, says Fine. If light is raked across the Arch, the figures seem to be moving. And as said, there are two Arches of Titus commemorating the conquest of Judea. Some might think the Romans were so thrilled at finally vanquishing the troublesome Jewish rebels that they marked it twice. Fine has a different take. "It wasn't about conquering the Jews. They were part of the empire," he argues. "It was a fake The Judean war, which started under Nero, was Vespasian's claim to authority because he won. But it was just a put-down of a local rebellion in a pesky province, not a foreign war. They played it up to glorify Vespasian and solidify his dynasty and glory." Take the Colosseum. 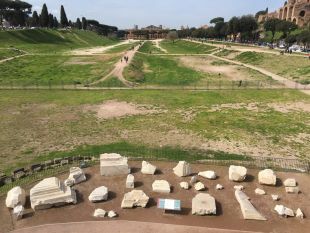 Vespasian began construction on the gigantic amphitheater in 72 C.E. (apparently), and at least one inscription suggests he used money looted from the Judeans to pay at least some of the bill. Fine thinks the arches and Colosseum were erected as a giant propaganda effort to establish the new Flavian dynasty, led by Vespasian. Probably the Colosseum was colorful too. The Romans seem to have painted all their statues, though to different extents: sometimes they might paint clothing onto a goddess, or add flourishes to the capitol of a column but not to the column itself. 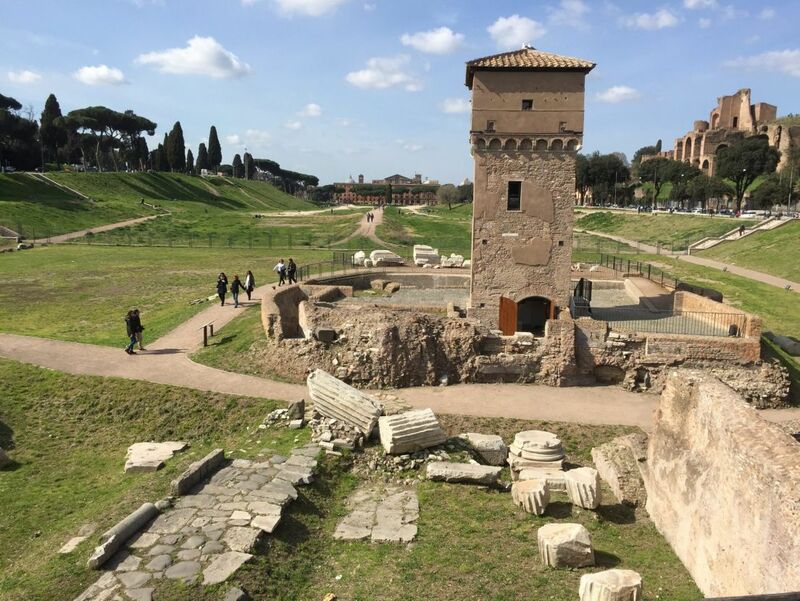 Meanwhile color traces have been detected on temple fragments on the Palatine and other Flavian buildings, one a temple just a few hundred meters from the Arch. It had the same yellow paint on it. "We are assuming that they used the same yellow everywhere," says Fine. 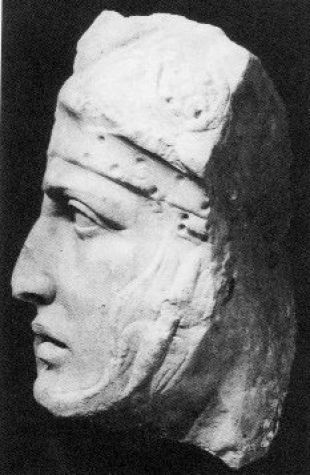 The Roman inspiration for the colorization may have come from the ancient Greeks who also had the habit of painting their statues. "The Romans were not creative about these things," sniffs Fine. "I fact when looking at the panel, we see how uncreative they were. We see the same person reproduced twice. Person 13 is same as number 6." Jews may boast of the modesty of synagogues, compared with the soaring pomp of, say, cathedrals. The ancient Hebrews however seem to have felt otherwise. The walls of the ancient synagogues in the Galilee were probably in painted in gaudy colors too, Fine says. "They didn't look like stark modernist synagogues with Bauhaus architecture, they probably looked ungapatchka," Fine says, a Yiddishism that turns out to mean "a bit much".